Polk School District – After a review of forecasts for our area and in collaboration with Governor Brian Kemp’s decision to close state offices in 29 counties, including Polk, Polk School District will be closed Tuesday, January 29, 2019, due to the anticipated winter weather. In addition, all after-school and extra-curricular activities have been canceled. Floyd County Schools – Following the Governor’s announcement of closing State offices tomorrow due to inclement weather, Floyd County Schools will be closed Tuesday, January 29th for students and staff. ALL after school activities will be canceled for tomorrow as well. Stay warm and stay safe! Rome City Schools – Due to the forecast of the National Weather Service and Governor Kemp ordering that all state offices close on Tuesday, January 29,2019, Rome City Schools will observe a “Flexible Learning Day”. All after-school activities are also canceled on Tuesday, January 29, 2019. We will notify parents and students if there are any further changes. Georgia Northwestern Technical College – All campuses of Georgia Northwestern Technical College will be closed Tuesday, January 29, following the directive from Governor Brian Kemp that all state offices will be closed. All day and evening classes, events and activities are canceled. 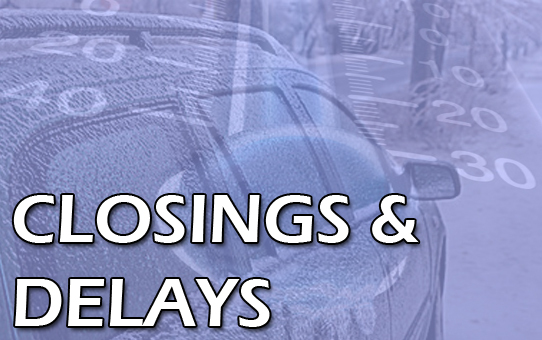 A decision regarding delays or closures for Wednesday will be made Tuesday afternoon. Georgia Highlands College – In an abundance of caution, all GHC locations will be closed 1/29/19 due to predicted weather conditions around the region. Check highlands.edu for updates. Paulding County School District – Due to the possibility of inclement weather all Paulding County schools and district offices will be closed on Tuesday, January 29th for students and staff. All classes and after-school activities for Tuesday have been cancelled. The district will continue to monitor weather developments, and any decisions regarding Wednesday’s status will be announced Tuesday evening. Coosa Valley Credit Union – All Coosa Valley Credit Union locations will delay opening until 10 am on Tuesday, in anticipation of inclement weather. Should we need to make further updates due to conditions in the morning, we will post those here. Polk Medical Center – We’re monitoring the threat of hazardous weather on Tuesday, and we will post any closings of our medical providers. Floyd Medical Center’s Emergency Care Center never closes and provides care to anyone in need of immediate emergency care. Emergency departments at Floyd Polk Medical Center and Floyd Cherokee Medical Center are also open 24/7. Polk County Chamber of Commerce – The Tourism Resource Team Community Presentation has been MOVED to Thursday, January 31st from 6PM – 8PM at the Slate House in Rockmart due to inclement weather. Polk County Historical Society – Greg Gray announces January 29, 2019 meeting is being canceled because of inclement weather. Be safe and stay in. Watch for the rescheduled date late. Polk County Government offices and courts – delayed opening until 11 A.M.
City of Cedartown – administrative offices at City Hall will delay opening until 12 noon tomorrow, Jan. 29. 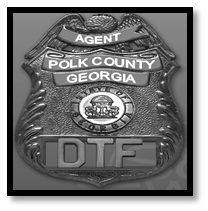 Public safety and public works personnel will of course be on duty serving our residents. Help make their job less dangerous by staying off the road. Cedartown Library – Tomorrow, Tuesday, January 29, the Cedartown Library will open at noon due to impending winter weather. Georgia Department of Public Health Northwest Health District office in Rome and county health department clinical and environmental health offices in Bartow, Catoosa, Chattooga, Dade, Floyd, Gordon, Haralson, Paulding, Polk, and Walker counties will be closed Tuesday, January 29.